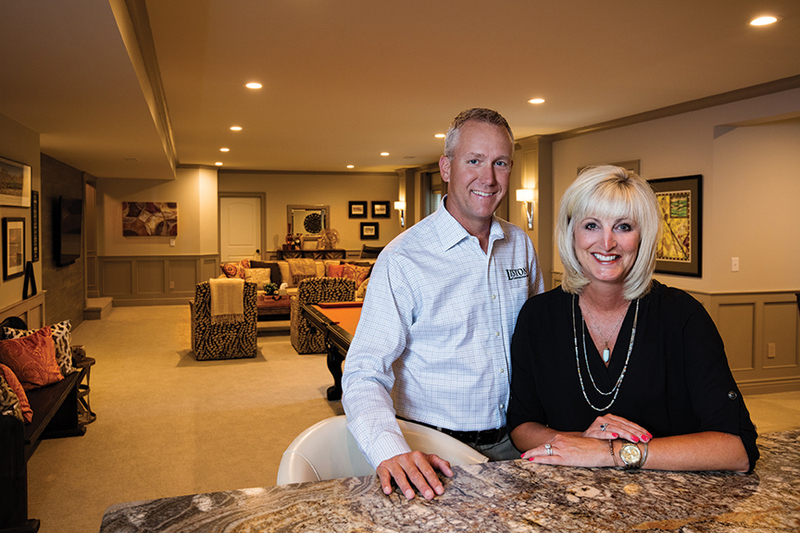 Husband-and-wife team Keith and Jeanne Liston share their wisdom on the remodeling process. SLHL: When doing a remodel project, with what professional should a homeowner start the process and why? Keith and Jeanne: We feel the best approach to most projects is contacting a design-build professional who serves as a single point of contact for both the design and construction phases of the project. This approach brings the best value by evaluating budget solutions early in the design phase and provides a quicker delivery and better communication for the duration of the process. SLHL: How do you define the scope of the project? Keith and Jeanne: During an initial visit to a client’s home, we ask multiple questions and, more importantly, do a lot of listening. It’s important to determine how and who will be using the remodeled space to ensure our solutions will meet our client’s needs. Defining the scope becomes a collaborative effort with the client and our team. SLHL: When starting your remodel, what should you start shopping for first in terms of materials/finishes? Keith and Jeanne: Each remodeling project is unique. Homeowners typically have design ideas researched with the use of the Internet and sites such as Houzz and Pinterest as well as shelter magazines. Using these concepts, we work with our clients in selecting finishes that will give them the look that they envision. We begin with the focal point finishes such as cabinetry and flooring and then build upon these all the way to the final touches such as the perfect piece of cabinet hardware. It is all about the layers! It is like dressing for an event and accessorizing. SLHL: What are unexpected expenses you can run into with a remodel? Keith and Jeanne: When remodeling, as long as your contractor provides a detailed scope of work that specifies all aspects of the project including product selections, the only unexpected expenses should be what we call “unforeseen conditions.” These would be issues that weren’t visible at an initial inspection – things that are hidden from view inside the walls or underground, for example. Contractors that have considerable experience in remodeling are best at forecasting these potential issues and can best troubleshoot unexpected circumstances. SLHL: If you can only remodel a few spaces in your home, what spaces give you the best return on your investment? Keith and Jeanne: Historically, kitchen and bath projects offer the best return on your investment. These projects also tend to be the most expensive on a cost-per-square-foot basis. However, the benefits of a newly remodeled kitchen or bath will improve and enhance the way you live in your home each and every day. SLHL: How important is it for a contractor to be licensed and insured? Are permits necessary? Keith and Jeanne: Any company that offers to do your project without a permit or isn't licensed and insured, does not have your best interests in mind. In Missouri, contractors don’t have licenses, as where electricians, plumbers and mechanical contractors do. All contractors are required to be insured with liability insurance and workman’s compensation. If you are considering a remodeling project, ask your contractor to provide proof of both.